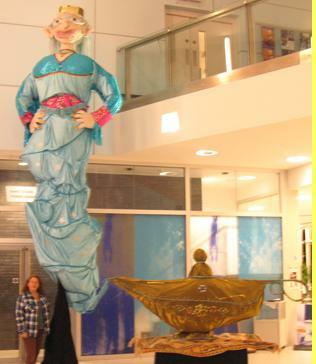 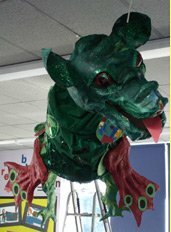 In 2005, Ballyhoo Arts worked with Newtown Soberton Infants to create this 'lifesize' dragon to display in the school foyer. 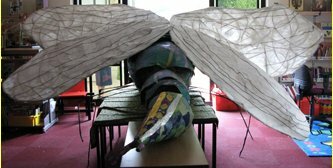 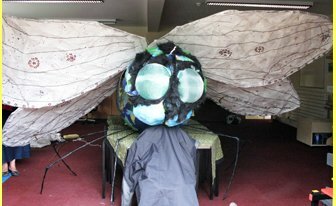 This giant Dragonfly was made by pupils from Swavesey Primary School in Cambridgeshire as part of Swavesey Festival. 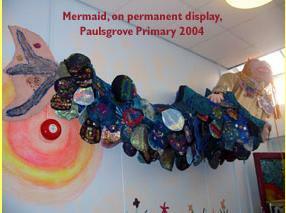 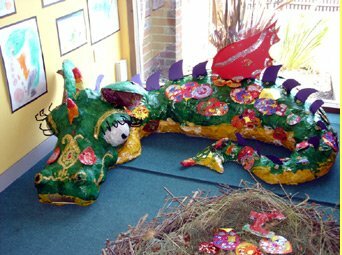 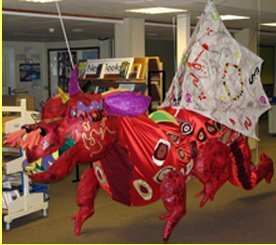 In July 2008 children from Holyfamily Primary School, Southampton made this dragon for display in their library.